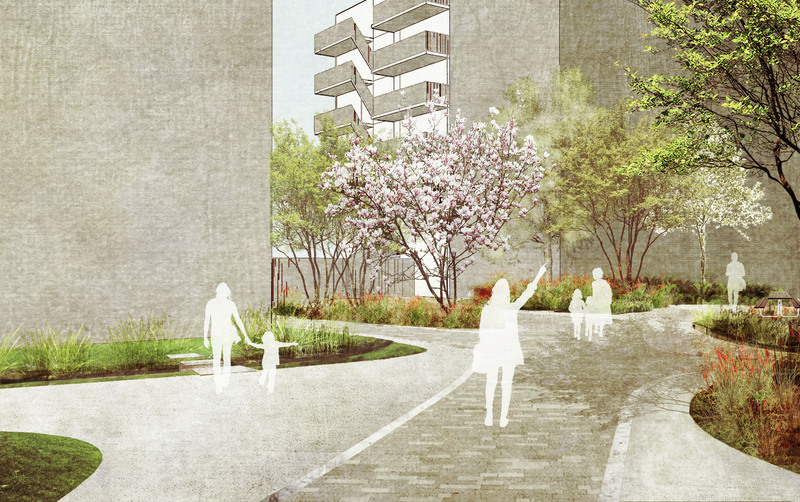 West of Amsterdam, the housing association de Key is building the Zuidblok. This is a residential building with 219 student units and 350 starter homes. 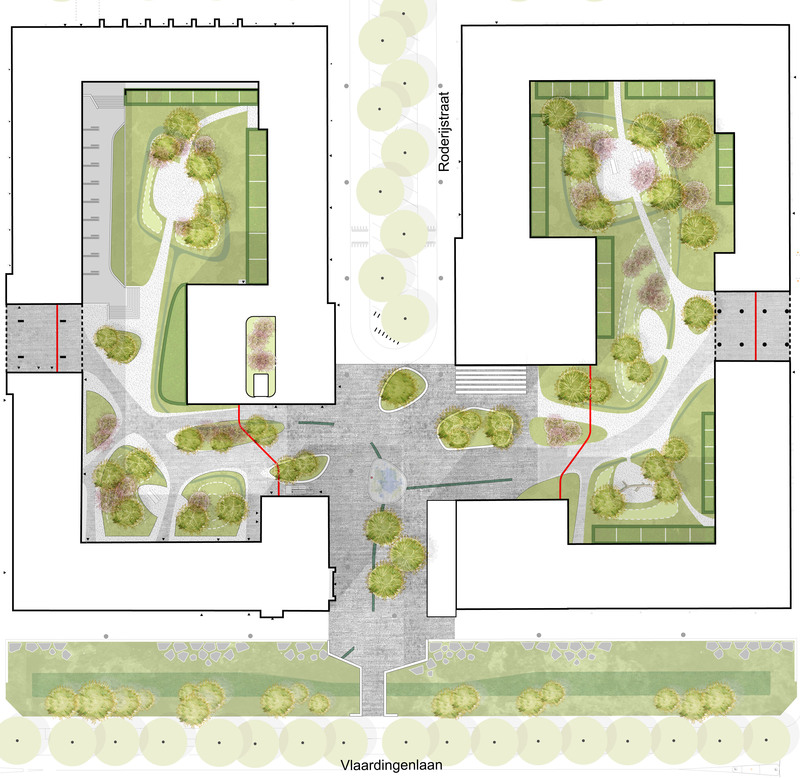 The architects for the building are Arens en Gelauff and KEN, while Bureau B+B is designing the courtyards that counter the high density of the building with both tranquility and vibrancy. 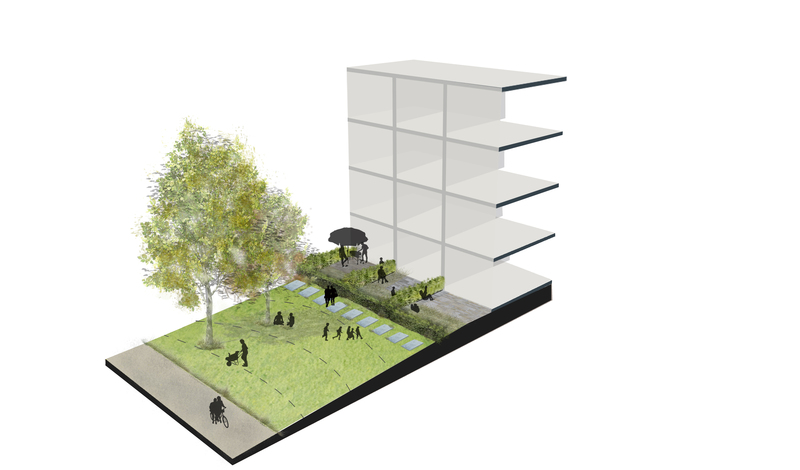 The outdoor spaces of the Zuidblok gradually shift from public to private. Surrounding the building are the busy city streets. The block is divided in two by a public passage. Cars park in the northern part of the passage, while on the southern side lies a vibrant square with cafés and restaurants. A passageway was created to allow pedestrians and cyclists to cross the Zuidblok from east to west that is open during the day but closed at night. The inner world of the Zuidblok consists of a series of spaces that vary in dynamics. 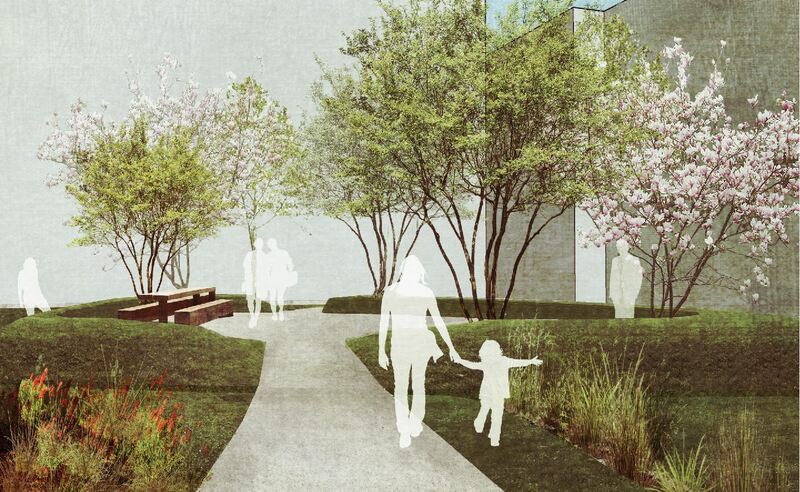 On both sides of the vibrant square semi-public courtyards are placed with lockable gateways. The front part of the courtyards has a communal atmosphere. In these areas, people can meet, play, or have their neighborhood picnics. Towards the back of the gardens, there are quiet, more seclude areas, where residents can retire to read, relax, or work in the garden.